Our attorneys are investigating claims that arthritis drug Actemra may be linked to fatal side effects not mentioned on the drug’s label that have allegedly resulted in hundreds of patient deaths. If you currently take or have taken the drug Actemra, you may be able to join a class action lawsuit to hold the drugmaker Roche responsible for allegedly putting patients at risk of life-threatening complications without proper label warnings. Actemra, also known as tocilizumab, is a drug most commonly used to treat moderate to severe rheumatoid arthritis by reducing inflammation. In some cases, the drug is also used to treat Giant Cell Arteritis, an inflammation of blood vessels in and around the scalp, and certain forms of Juvenile Idiopathic Arthritis, the most common type of arthritis in children under the age of 17. 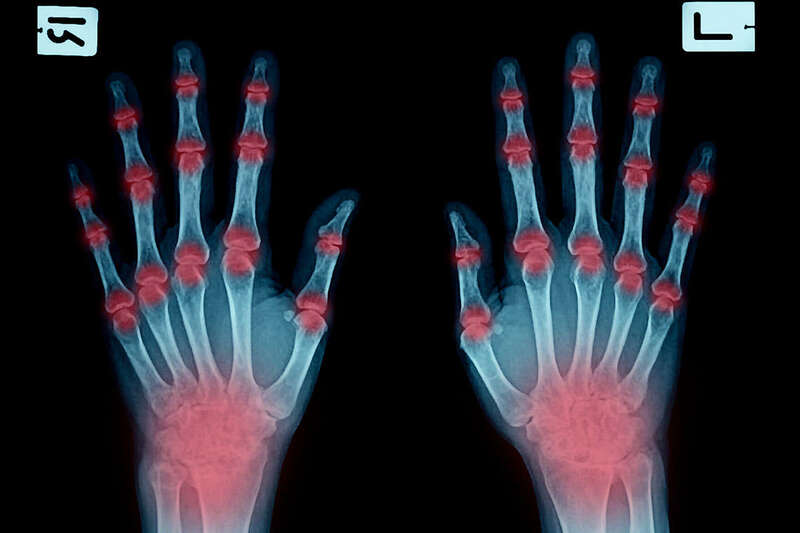 Over 1.5 million Americans seek treatment for rheumatoid arthritis, a debilitating autoimmune disease that causes inflammation in the joints of the hands, feet, knees, elbows, and ankles, according to the Arthritis Foundation. Actemra is Roche’s fifth highest-grossing drug, according to health and medicine publication STAT, netting the pharma company $1.7 billion in global sales last year alone. The inflammation occurs when the body’s immune system mistakenly attacks healthy joint tissue, resulting in swelling and pain around the joints. This inflammation can damage cartilage and bones if left untreated, as well as cause joint deformity. This damage is irreversible, which is why treatment is so important for patients of rheumatoid arthritis. A doctor can administer the drug intravenously or a patient can inject it subcutaneously (under the skin) at home, according to the U.S. Food Drug Administration. The drug is often used when other drugs typically prescribed to treat rheumatoid arthritis do not work for the patient. What Are the Alleged Problems with Actemra? Unlike other competing rheumatoid arthritis drugs, Actemra’s warning label does not warn against life-threatening conditions such as heart attack, stroke, lung disease, pancreatitis, and more. However, there have been over 13,500 side-effect reports involving Actemra, according to an investigation by STAT, and between 2010 and 2016, the FDA received thousands of complaints about adverse reactions to Actemra. In these complaints, Actemra was implicated in 1,100 patient deaths. The cause of death listed in the majority of these FDA reports were heart disease, lung disease, and stroke, according to STAT. In fact, the complaints to the FDA show that not only does Actemra drugmaker Roche fail to provide adequate warning labels, but the drug may actually cause more adverse events like heart attack and stroke than other competing drugs that do provide accurate warning labels, according to the investigation. “[There is] clear evidence that the risks of heart attacks, strokes, heart failure, and other conditions were as high or higher for Actemra patients than for patients taking some competing drugs,” explained Charles Piller in the investigative STAT article. Despite these FDA complaints and investigations into the drug, Actemra’s warning label still fails to reflect these reported increased risks, potentially jeopardizing the lives of rheumatoid arthritis patients. I Use Actemra. What Should I Do? If you or someone you love has used Actemra and have developed any of the serious adverse reactions described above, or a loved one has died as a result of the drug, we would like to hear from you. You may be able to participate in a class action lawsuit to recover compensation for your injuries and hold the drugmaker Roche for putting allegedly dangerous products on the market. Contact us today by filling out our free, no-obligation form.